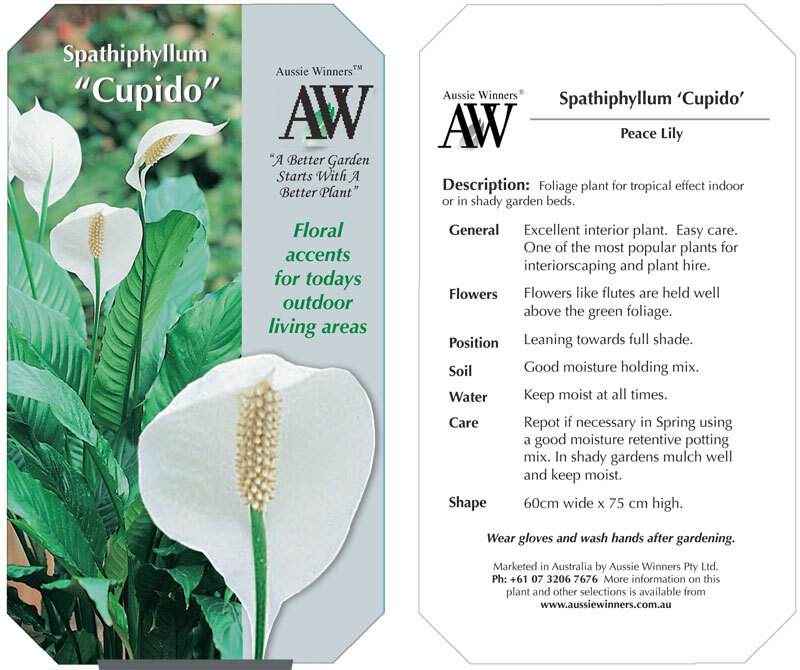 Grown in vast numbers for the markets of Europe we find this variety to be well suited to Australian conditions in homes and into garden areas in semi-shade. 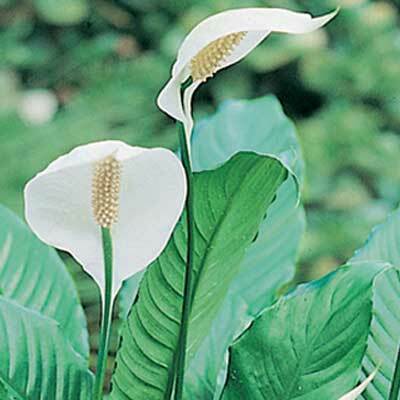 Peace Lilies are very easily grown. In gardens they prefer sheltered warmer spaces under trees. Most loose garden soil types suit them well. In homes and surrounds they are very tolerant and forgiving either indoor or in sheltered positions in containers.Watering, keep them constantly moist but not over wet. Some balanced fertilizer is desirable particularly for those plants grown in pots. Slow release fertilizer is good as it continues to release some nutrients all the time. A sign of dryness is wilting of the leaves which can become pronounced quickly. Even when the leaves droop the addition of water to the plant will bring it back to being upright and strong again. It is one of the few plants that we recommend standing in a saucer which can hold excess water after the thorough watering you give it once a week or when dry. In gardens most shady gardens are suitable. Flowers and leaves grow without any real attention aside from mulching.